After an award-winning festival career, The Most Beautiful Couple is hitting the German screens on 2nd May! 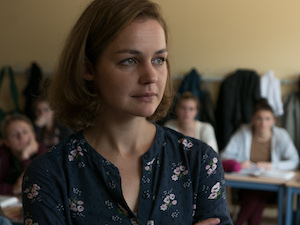 The film, distributed by Koryphäen Films, has also received a nomination at the German Film awards for Luise Heyer in the category of Best Lead Actress – with the award ceremony taking place the day after its theatrical release, on May 3rd. Our co-production Under the Tree will hit cinemas nationwide on the 16thMay! It premiered in Venice, won an incredible 7 out of 12 nominations at the Icelandic Film awards, was the country’s contestant for the Oscars 2018 and the second highest box office of the year in Iceland. The black comedy by Hafsteinn Gunnar Sigurdsson has been released all across Europe. Farbfilm Verleih distributes it in Germany. Jennifer Fox’s The Tale, starring multi-award winning Laura Dern and Ellen Burstyn, is coming out on DVD and Bluray in Germany on 3rdMay! The film premiered in Sundance, was acquired by HBO and turned out to be a major contender at last year’s award season, including nominations at the Primetime Emmys, Golden Globes, Critic’s Choice Awards and Independent Spirit Awards. It is being distributed by Capelight Pictures. Click here to pre-order it on Amazon. Adam Fillenz, the cinematographer of our six-country co-production Hier, has been nominated for the Vilmos Zsigmond’s award at the Zsigmond Vilmos International Film Festival. The goal of the festival is to draw attention to an important co-creator of films, the cinematographer. It takes place from May 28 to June 1st in Szeged, Hungary. Congratulations to Adam! Luise Heyer has been nominated as Best Lead Actress at the German Film Awards! We congratulate her for her amazing performance in our film. The award ceremony will take place on the 3rd of May in Berlin, one day after its theatrical release in Germany. Fingers crossed! Our new co-production with Polish award-winning producer Ewa Puszczynska/Extreme Emotions received financial support from the German-Polish Film Fund through MBB Medienboard Berlin-Brandenburg and MDM Mitteldeutsche Medienförderung. 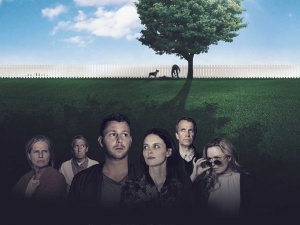 Fools is Wasilewski’s fourth feature, after his Berlinale competition title United States of Love, which won the silver bear for best script back in 2016. World sales are handled by New Europe Film Sales. The project by German writer Knut Mierswe and director Birgit Möller, starring Jella Haase, won the Junior Entertainment Talent Slate (JETS) pitching competition at the Berlinale, confirming industry support from a broad range of international participants. The initiative unites up-and-coming filmmakers and their feature film projects with producers, sales agents, financing companies and distributors from a number of European countries, Canada and the US. The ball keeps rolling in the US-award season, as The Tale got three nominations to the Critic’s Choice Awards in the categories Best Film (TV), Best Actress (TV or Limited Series) for Laura Dern and Best Supporting Actress (TV or Limited Series) for Ellen Burstyn. The award ceremony will be held at a gala event to be aired live on the CW Network Sunday on January 13, 2019, from the Barker Hangar in Santa Monica, US. Congratulations to Laura Dern, the protagonist of our film The Tale, who just got nominated for the Golden Globes for Best Performance by an Actress in a Limited Series or a Motion Picture Made for Television! She is, in fact, the only nominee that is not from a limited series – so for us, a winner already! The award ceremony for this prestigious prize will be held on January 6, 2019, at the Beverly Hilton in Los Angeles, California. 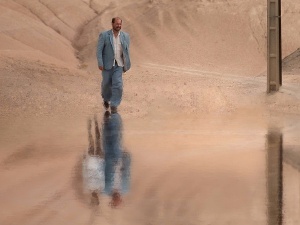 Our six-countries co-production Hier (Tegnap) by Balínt Kenyeres was selected for the International Film Festival Marrakech and will celebrate its African premiere in the section The 11th Continent. The festival takes place from November 30 to December 8 and highlights the best movies out of the festival circuit from the last year. The Tale swoops two more nominations in the award season! Jennifer Fox’s Sundance breakout is nominated for two Satellite Awards in the categories for Best Motion Picture Made for Television and Best Actress for Laura Dern. The Satellite Awards are presented by the International Press Academy and the award ceremony will take place in February 2019 in Beverly Hills. 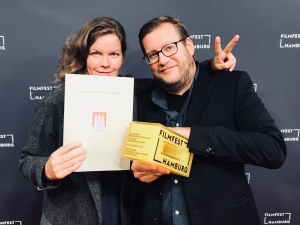 After a successful world premiere in Toronto and winning the Producer’s Award at the Hamburg Film Festival, our film was now awarded at the Kinofest Lünen. Congratulations to our costume designer Genoveva Kylburg and her team for an amazing job and this deserved recognition. The Tale has now been nominated for Best First Feature, Best First Screenplay (Jennifer Fox) and Best Editing (Anne Fabini, Gary Levi, Alex Hall) for the 2019 Film Independent Spirit Awards! Also, The Gotham Awards have also nominated Jennifer Fox for the Bingham Ray – Breakthrough Director Award and the film is up for the Audience Award too (IFP members can vote here). The award ceremonies will be held on November 26 in NewYork and February 23 in Los Angeles. 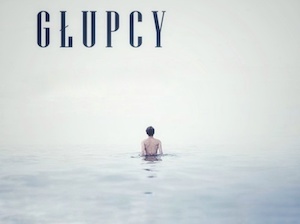 Tom Shoval’s second feature received 180.000,- EUR funding from Medienboard Berlin-Brandenburg. 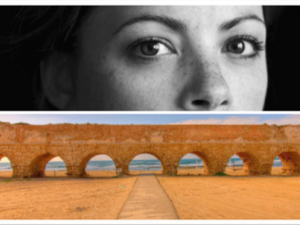 The project is our newest co-production with long-time partners Green Productions (IL), with Les Compagnons du Cinema (FR) joining the producer’s team. The film stars Berenice Bejo and is executive produced by Alejandro González Iñárritu. Principal photography is scheduled for early 2019. World Sales are handled by Wild Bunch. The german-israeli co-production Out of Place was awarded on October 8th at the City Hall of Berlin with the Shimon-Peres-Prize. The award is given in memory of the homonym Israeli politician and nobel of peace winner and out of a sense of responsibility for the special friendship between the two countries and is bestowed upon young professionals who made an outstanding contribution to the shaping of German-Israeli relations. Congratulations on all of the teams of the short films part of this feature! The new feature by the award-winning director Bettina Blümner has granted 200.000,- EUR fund from the Film- und Medienstiftung NRW. The film stars Victoria Schulz, Leonard Scheicher and Hanna Hilsdorf. Broadcaster ZDF / ARTE and distributor Neue Visionen are also on board. 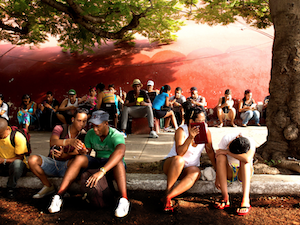 Principal photography to start in spring 2019 in Cuba. Sven Taddicken’s The Most Beautiful Couple won the Hamburg Producer Award at the Hamburg Film Festival. The fantastic camera-work follows the brilliant actors, supported by a precise edit and original use of music and sounddesign, the jury remarked. Next screenings will be at the Filmfestival Cologne and Nordic Film Days Lübeck. Zorro Film will release the film early next year, Beta Cinema handles world sales. After a successful festival career, 7 Icelandic film awards and being sold to over 30 countries, the black comedy by Hafsteinn Gunnar Sigurdsson got selected – alongside other 48 European productions – to the European Film Awards. The nominations will be announced on September 10, the presentation of the winners will take place on December 15 in Seville, Spain. Sven Taddicken’s sixth feature will celebrate its world premiere in the Contemporary World Cinema section at the Toronto International Film Festival 2018. The film stars Maximilian Brückner and Luise Heyer. It was funded by Filmstiftung NRW, MBB, FFA and co-produced with french Arsam International. World Sales are handled by Beta Cinema, Zorro Films will release in Germany. After successful screenings at the biggest film festival in South Africa, The Tale was awarded twice at the closing ceremony. Congratulations to Jennifer Fox for the Best Screenplay and to Anne Fabini, Alex Hall and Gary Levy for the Best Editing! The nominations for the Primetime Emmys are out and Jennifer Fox’s The Tale is competing in the categories Outstanding TV Movie and Outstanding Lead Actress in a Limited Series or TV Movie (Laura Dern). The award ceremony is on September 17 in Los Angeles. The film is out via HBO in North America and many other territories worldwide – the German airdate is August 17 on Sky Cinema. Bálint Kenyeres’ Tegnap (Hier) will play in the Cineasti del Presenti competition at the 71th Locarno Festival. The six-countries co-production stars Vlad Ivanov, Djemel Barek and Gamil Ratib and was funded by Hungarian National Film Fund, CNC Avance sur Recettes & Nouvelle Technologies, Film i Väst, MEDIA Program and The Netherlands Film Fund and supported by SR / arte. After a sucessful career in the cinemas of Spain, Germany, Brazil and Argentina, Isabel Coixet’s new feature, starring Emily Mortimer, Bill Nighy and Patricia Clarkson hits the british theaters on June 29. The adaptation of the story by Booker Prize-winning novelist Penelope Fitzgerald won 3 Goyas (best film, best director and best adapted screenplay) and had its international premiere in the Berlinale Special Gala section. World sales are handled by Celsius Entertainment. The TV award season begins with a nomination for Jennifer Fox’s The Tale in the category Outstanding Achievement in Movie or Miniseries at the TV Critics Association Awards. HBO Films premiered The Tale in the US and other countries on May 26. In Germany, it’ll be aired on Sky Cinema at 8:15pm on Friday, August 17. The film celebrated its world premiere at the Sundance Film Festival and will have its German premiere in the Cinemasters competition at the Munich Film Festival. Variety has released its 10 Producers to Watch for 2018 and we’re thrilled to have our both producers included in the diverse mix of producers from the U.S. and the thriving international film scene. Variety Producers to Watch, which was originally launched at the Cannes Film Festival in 1998, returned to the Croisette last year and will once again be presented there this year. HBO Films announced that The Tale, starring Laura Dern and Ellen Burstyn, will premiere at 10pm on Saturday, May 26. Also a first teaser was launched. The film celebrated its world premiere in the US competition at the Sundance Film Festival, where it received standing ovations at every screening. The HBO acquisition was the second highest deal of the festival. Our new co-production with Icelandic Netop Films received financial support from Eurimages, the prestigious Council of Europe fund for European cinematographic works. The County is Grímur Hákonarson’s third feature, after his Un Certain Regard winner Rams. The principal photography started on February 27th. Denmark’s Profile Pictures and France’s Haut et Court are also on board of the film. SR/arte will broadcast in Germany, world sales are handled by New Europe Film Sales. ICM will sell the US. Isabel Coixet’s new feature won best film, best director and best adapted screenplay. 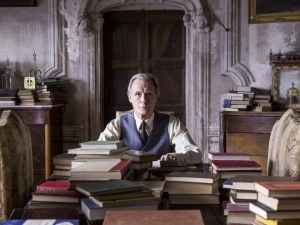 The adaptation of the story by Booker Prize-winning novelist Penelope Fitzgerald has been a success at the Spanish box office so far grossing €2.47m. International premiere is up next as a Berlinale Special Gala session. World sales are handled by Celsius Entertainment. German distributor is Capelight. 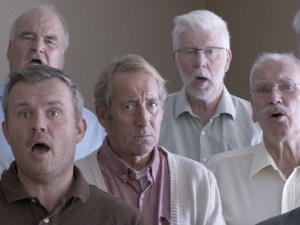 The black comedy by Hafsteinn Gunnar Sigurdsson was the big winner in the Icelandic Film Awards, winning 7 out of 12 nominations. Awards includes Best Film, Director, Screenplay, VFX, Lead Actress, Lead Actor and Supporting Actor. Farbfilm will distribute the film in Germany. World sales are handled by New Europe Films Sales. After five standing ovations at five screenings at the Sundance Film Festival, Jennifer Fox’s feature, starring Laura Dern and Ellen Burstyn, has been sold to HBO – which marked the second largest deal of the festival. Critics have raved about the film throughout and the film is currently 100% Fresh on Rotten Tomatoes. German distributor Film Kino Text launched Jan Speckenbach’s second feature starring Johanna Wokalek and Hans-Jochen Wagner theaters on February 08th. On top of that, distributor Corinth Films bought the rights for the US and Canada. World sales are handled by Pluto Films. The Spanish-British-German co-production starring Emily Mortimer, Bill Nighy and Patricia Clarkson and directed by Isabel Coixet – which has already generated over 430k admission to date in Spanish cinemas – will celebrate its international premiere at the 68. Berlin International Film Festival in the Berlinale Special Gala section. Celsius Entertainmenthandles world sales. Capelight will distribute in Germany. Isabel Coixet’s adaptation from Penelope Fitzgerald’s novel set in 1950s England, scooped 12 nominations for the “Spanish Oscars” including best film, best director, best actress for Emily Mortimer and best supporting actor for Bill Nighy. 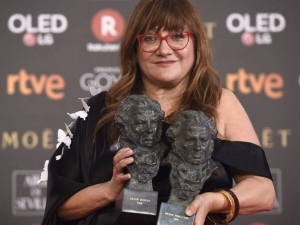 The film has taken more than EUR 2 million in Spain to date and will be a strong contender at the 32nd edition of the awards which take place on February 3 in Madrid. Sales are handled by Celsius Entertainment. The debut feature of renowned documentary filmmaker Jennifer Fox starring Laura Dern and Ellen Burstyn will premiere in the “U.S. Dramatic Competition” of the most important film festival in America. The US-German co-production with A Luminous Mind Productions, Untitled Entertainment and Blackbird Films was financed with the support of Medienboard Berlin-Brandenburg, Gamechanger Films and ZDF / arte. 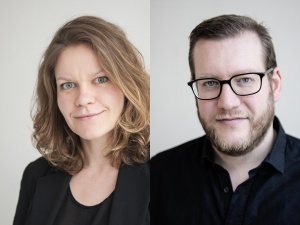 World sales New Europe Film Sales has inked a host of deals on the Icelandic Oscar entry. The IS / PL / DK / DE co-production, directed by Hafsteinn Gunnar Sigurdsson, has secured distribution in over 25 countries, including US (Magnolia), China (Times Vision), France (BAC), UK (Eureka), Australia/NZ (Palace) and Spain (La Aventura). 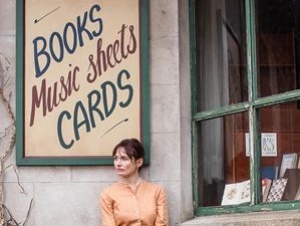 Isabel Coixet’s new film, starring Emily Mortimer, Bill Nighy and Patricia Clarkson, has opened in 115 screens and grossed almost 500.000 €, being the best average per location of the weekend. World sales are handled by Celsius Entertainment. Capelight will distribute The Bookshop in Germany. 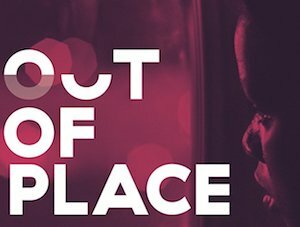 Bálint Kenyeres’ debut feature was selected for the “Work In Progress” programme at Connecting Cottbus and will compete for the “COCO Post Pitch Award“. The project is also looking for distribution and world sales. 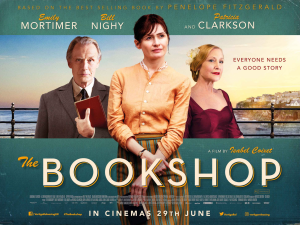 Isabel Coixet’s upcoming feature won the prize for Best International Literary Adaption for „The Bookshop“ at the Frankfurt Book Fair 2017. World sales are handled by Celsius Entertainment. German distributor is Capelight. After premiering in Locarno’s competition, Jan Speckenbach’s second feature competed in Säo Paulo, Valladolid and Hof. 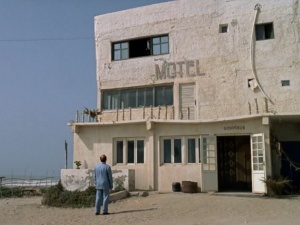 The film also screened at CPH Pix, in Haifa and Warsaw. Next stop is Berlin (14 Films Around the World). World Sales are handled by Pluto Film, Film Kino Text will release in Germany in the beginning of 2018.